With Halloween approaching, Redwings is helping horse owners take the fright out of dealing with scary wounds and life-threatening colic. 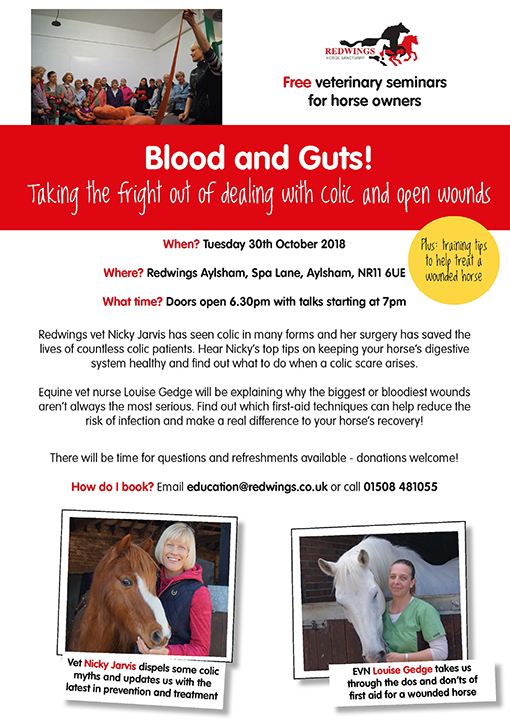 All are welcome to attend our latest evening of free veterinary talks, called Blood and Guts!, at our Aylsham Visitor Centre, north of Norwich, on Tuesday 30th October from 6.30pm. 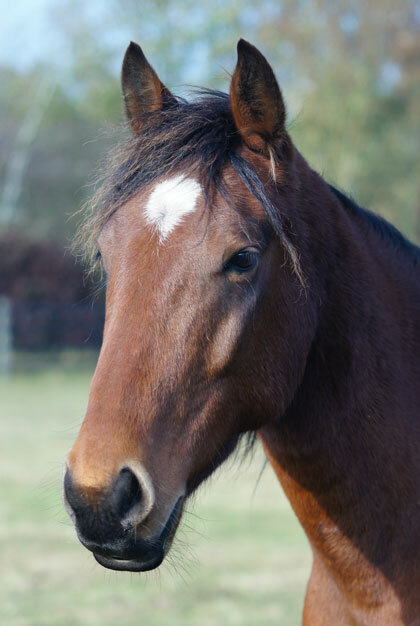 Senior Veterinary Surgeon, Nicky Jarvis, will be sharing her essential tips on how to keep a horse’s delicate digestive system in top health to ward against frightening cases of colic, and talking through what to do when a scare arises. Meanwhile, Equine Veterinary Nurse, Louise Gedge, will be explaining why the biggest and bloodiest wounds aren’t always the most serious! She’ll be showing which first-aid techniques can help reduce the risk of infection and make a real difference to a horse’s recovery. Andie Vilela, Education and Campaigns Manager, said: “When it comes to the terrifying prospect of dealing with colic, Nicky has written the book on guts! With responsibility for the veterinary care of hundreds of our rescued horses and donkeys, her diagnostic and surgical skills have saved numerous colic patients during her years of experience at Redwings. To book your free place on the evening seminar, call 01508 481055 or email education@redwings.co.uk.